Been a fan of the show(s) since the beginning, thought I'd finally check out the forum. Need a bit of Subaru know-how, what better people to ask? Anyway, that's my polite Canadian introduction, hope all that read this have a great day. Welcome to the MCM Forums! What's up with your Subaru? Feel free to post a picture too! 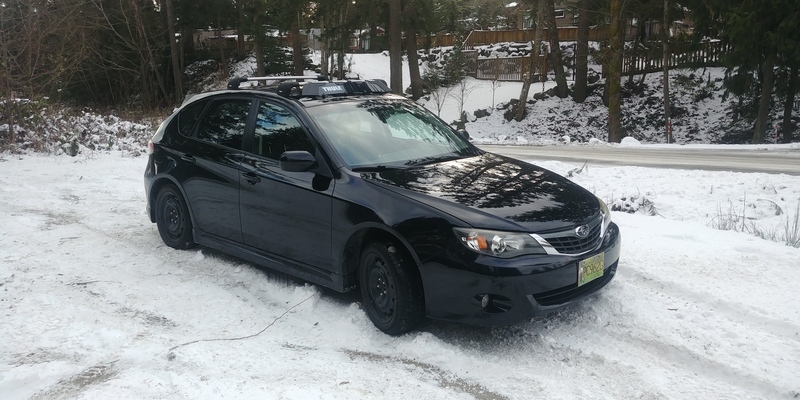 The Subaru is my wife's daily, it's an 08 Impreza with the 2.5i and 4EAT. We picked it up three months ago with 155km. Previous owner had a reman PS pump installed at 135km, it recently started leaking from a sensor at the rear of the pump. Now, I've seen one style sensor thats a bronze thread-in with an o-ring. Mine is the older? crappier? style, basically just a wire hanging out of the pump with rubber vulcanized to it for a seal. Seems I can't buy the sensor on it's own, curious if anyone knows of a source or a fix? Tracked down the part, it's 34441AA010. Doesn't look like it's readily available in North America as Subaru considers this pump non-serviceable. I can get it from the UK but it'll be damn near as expensive as a whole pump. Any words of wisdom? The rubber is a crumbling mess, ain't worth my time to "Red green" it. Started on it by checking the feed and return hoses from the reservoir. Replaced all the spring clamps with gear clamps. Swapped the o-ring on the inlet elbow. So far, so good. That sensor port still looks suspect though. Don't see why I couldn't pull the pump, disassemble it and block the port. I can live with slightly heavier steering at idle. After much staring, pondering and poking at things with a screw driver I went ahead and ordered a pump, lines and a filter. Will button it back up soon. Thought I'd follow up. Cheap eBay pump is holding up well! I got it through Power Source Parts LLC in America.